I have hair that is not easy to straighten with a flat iron, that’s the reason I have always looking for a flat iron that can straight my hair with one pass. With my hair type I need like 40 minutes to straighten it. In the same time I don’t want a flat iron with very high temperature that is going to make my hair unhealthy and weak. I have had several hair straighteners featuring to be one-pass deals, however only a very few of them worked out like that way. Its name is Onepass, so that should really mean something! This flat iron was made for speed with the sleek outlook and an easy to work handle. You do not have to take an eternity to straighten your hair. I can say it’s something like a race car for your hair. In addition this hair straightener has silicone on its ceramic plates. It helps for moving smoothly on your hair without hair catching. I like the idea for a not painful flat iron, because I have often this moments when I don’t pay enough attention and it grab a bunch of hair. Really unpleasant moment. The silicone coating of the plates is used to get the hair in order while it’s being pulled through the straightener. Although, that’s great for most hair types, but thicker hair will most likely not have the same luck with it. I am impressed by the heat up time of this flat iron. I have used a lot of hair straightener, some of them salon models and they take a long time to heat up, that’s why I always looking for a faster one. It could help me to cut an extra five minutes from my morning routine. When you hear five minutes it is not a lot, but when you add fifteen more minutes fot straighten my hair.. here you are 20 minutes less sleep! 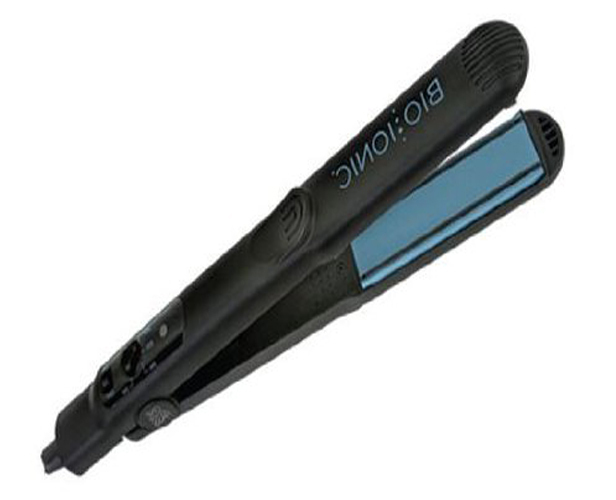 With Bio Ionic Onepass Nano Ceramic Straightening Iron you get plates covered with minerals, also ionic and infrared functions make your hair smooth and shiny. How we know negative ions have been used to combat static and frizz in the hair and to moisturize it. You can have this hair straightener in two different sizes – 1 inch and 1.5 inch. If you want to straighten your hair it is better to use 1.5 inch version, when you add the onepass technology you can have the results in no time. But If you want to use it for curling your hair, 1 inch is the right choice. BioCeramic heaters heat up OnePass to 400 Degrees Fahrenheit with instant recovery for smooth results, roots to ends. You can style your hair in any way with this temperature, but be carefull, your hair should be smoothed and not fried. 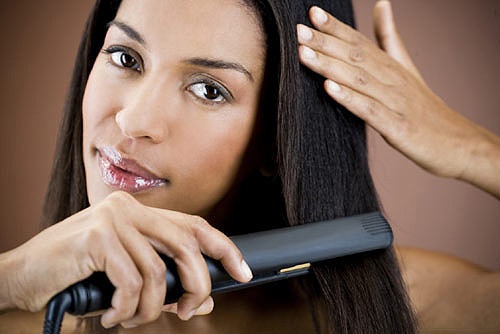 An excessive amount of heat is often bad for a lot of hair types. Start with lower degrees first and if you need try the 400 Degrees option. I like this flat iron, firstly because of its onepass technology, secondly because of the silicone technology. This two really make my hair routine easier. In addition we have a quickly heat up and a temperature of 400 degrees. Two different sizes and the amazing design give you the opportunity to have an incredible and diverse hairstyle everyday.